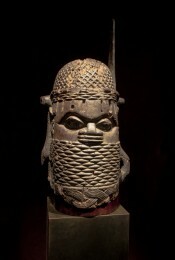 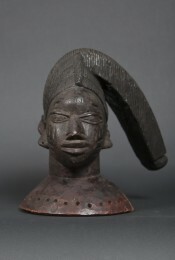 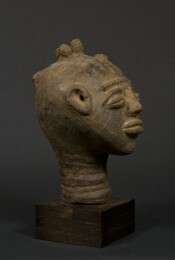 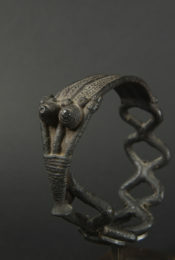 The Mumuye live in the foothills of the Shebshi Mountains near the banks of the Benue in eastern Nigeria. 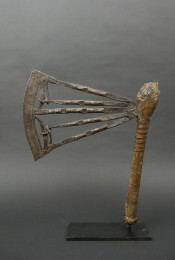 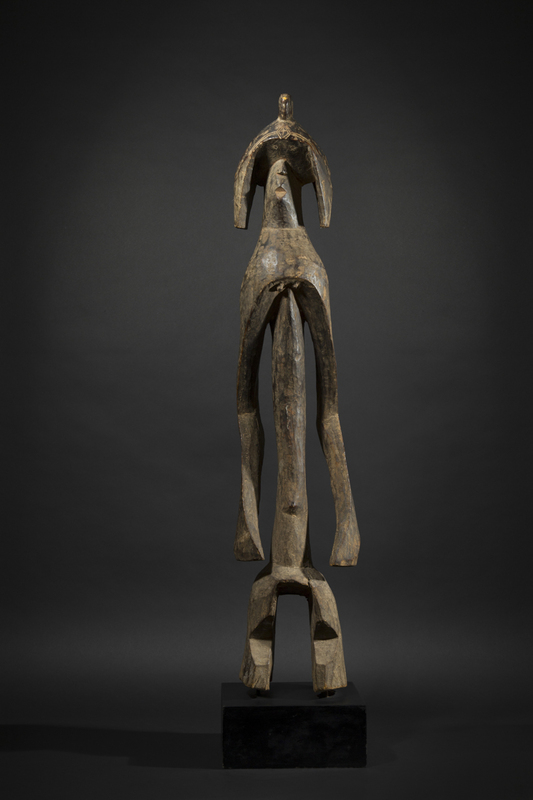 This agrarian people is comprised of three different dialectal groups, and was long unknown to Westerners, who discovered their art only in the late 1960s. 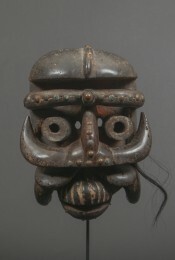 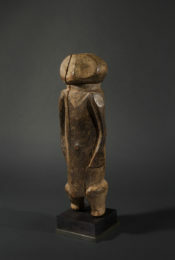 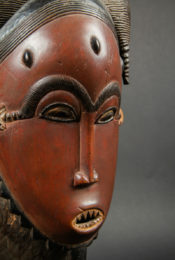 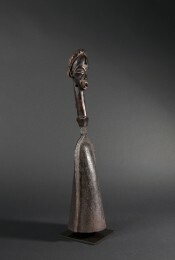 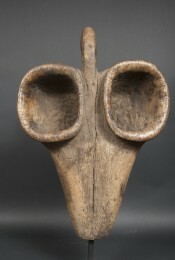 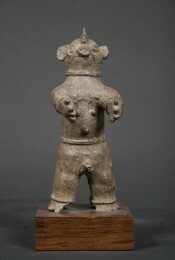 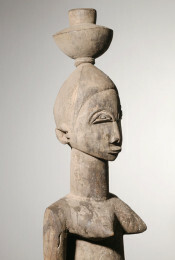 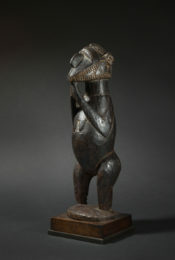 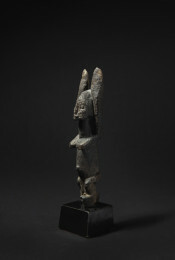 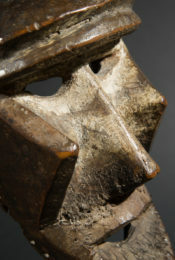 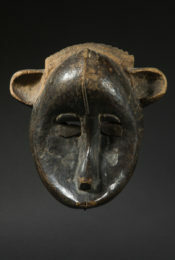 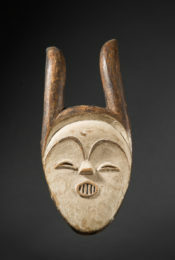 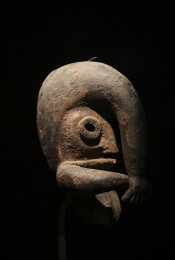 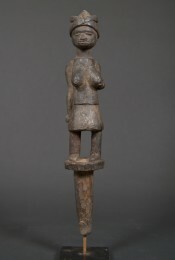 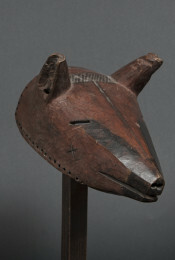 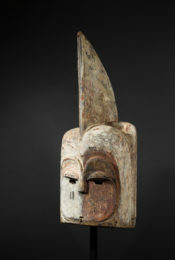 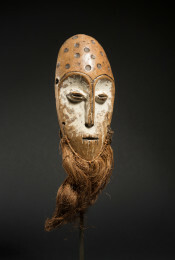 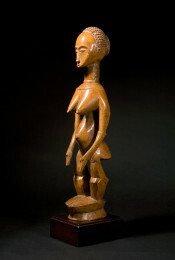 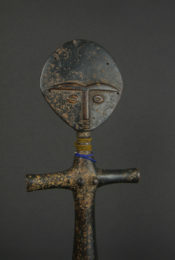 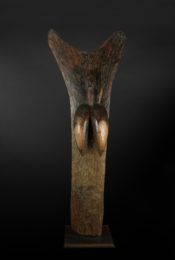 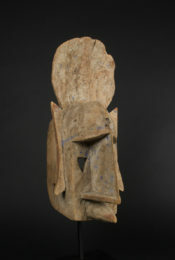 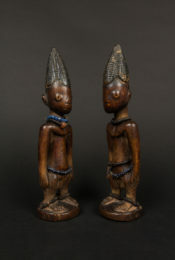 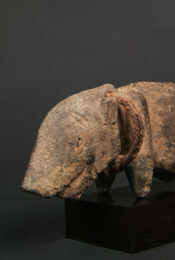 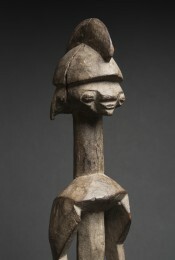 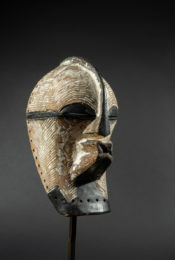 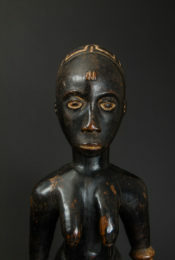 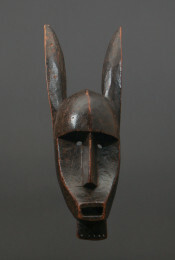 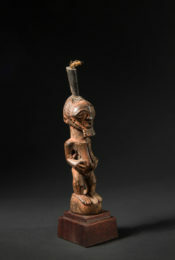 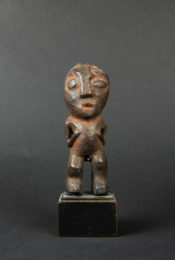 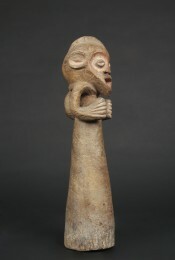 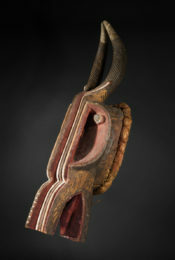 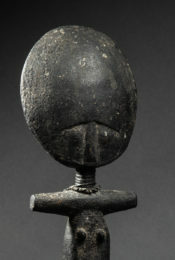 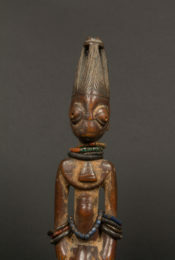 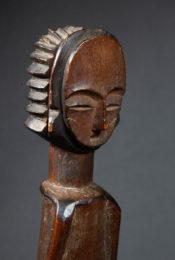 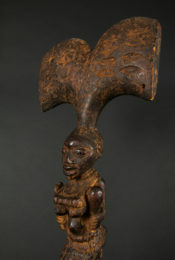 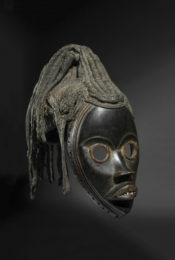 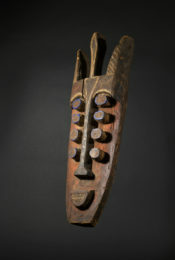 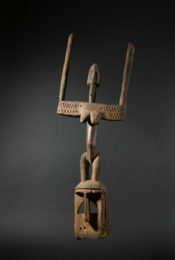 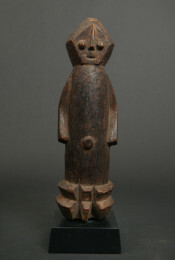 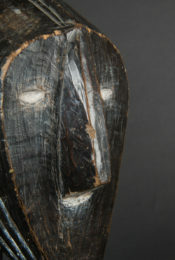 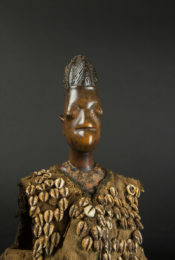 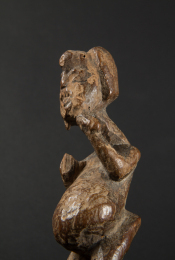 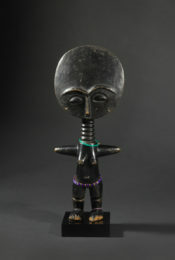 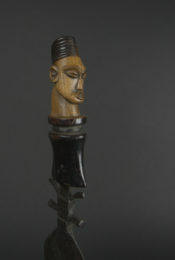 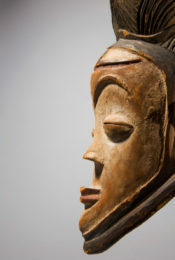 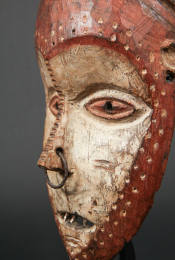 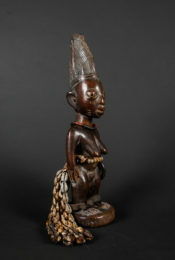 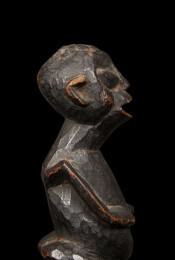 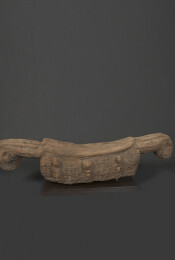 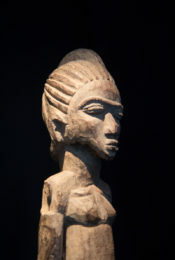 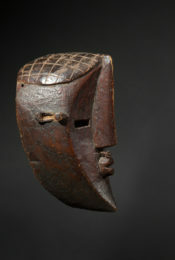 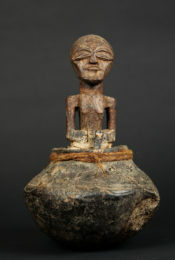 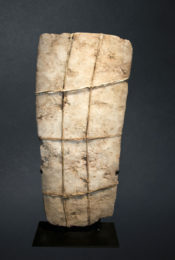 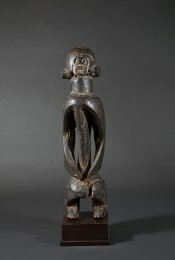 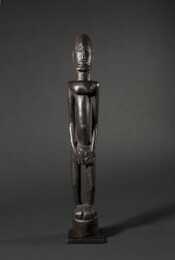 The Mumuye used sculptures called Iagalagana in different rituals: the figures played a central role in ancestor worship and in curing ceremonies. 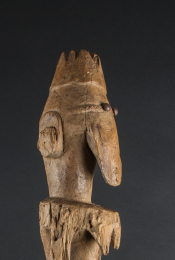 They served as intercessors between the spirit world and that of men, and served as proof of the high status of the family that owned them. 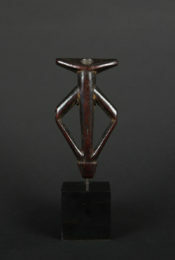 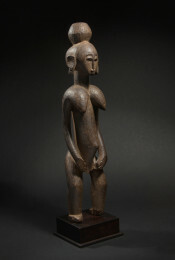 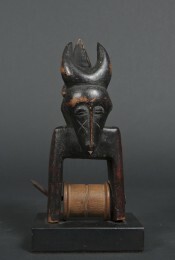 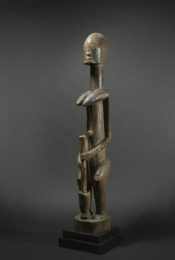 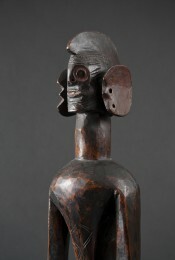 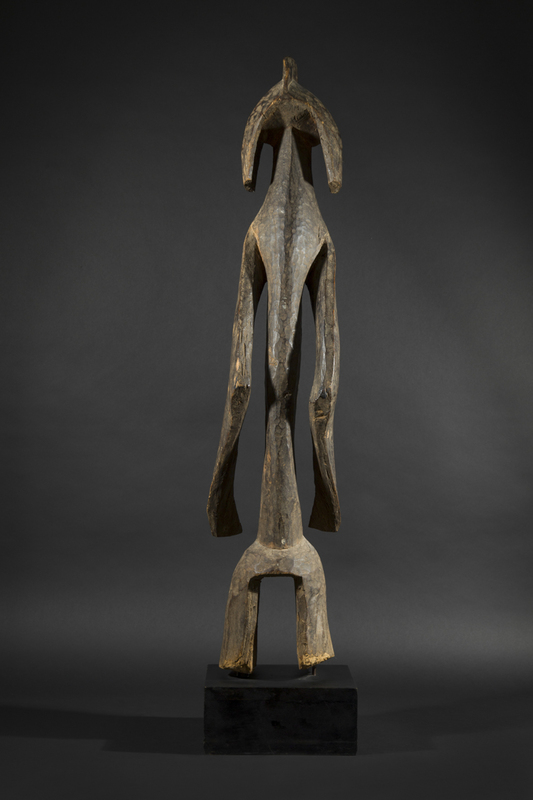 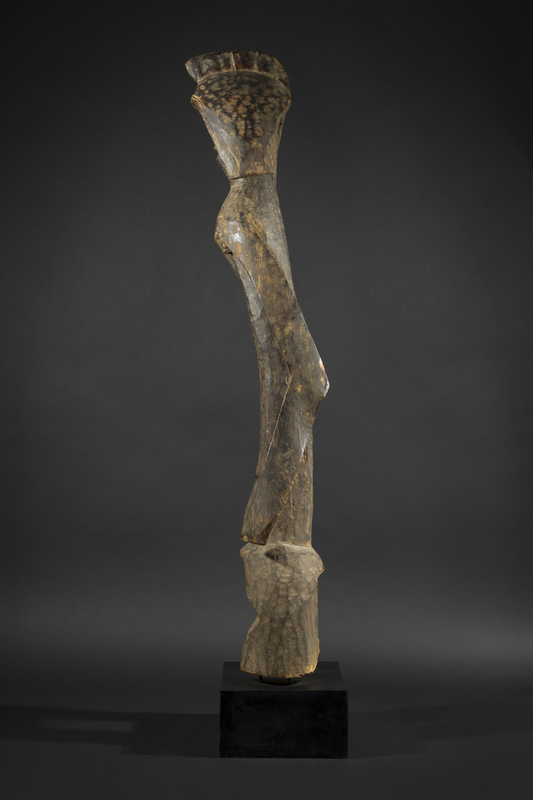 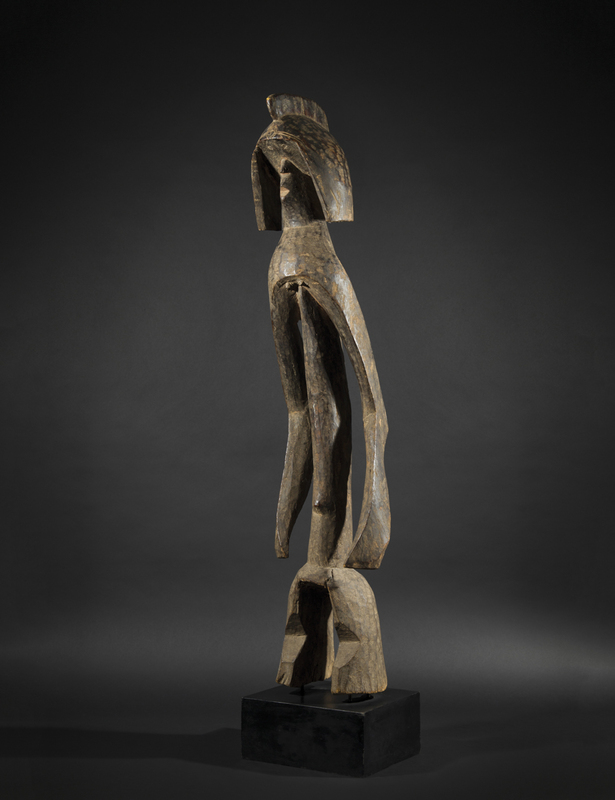 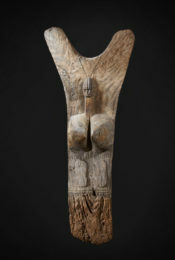 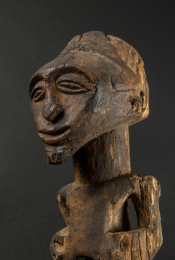 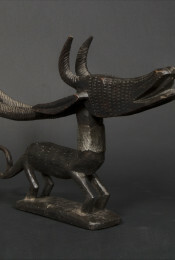 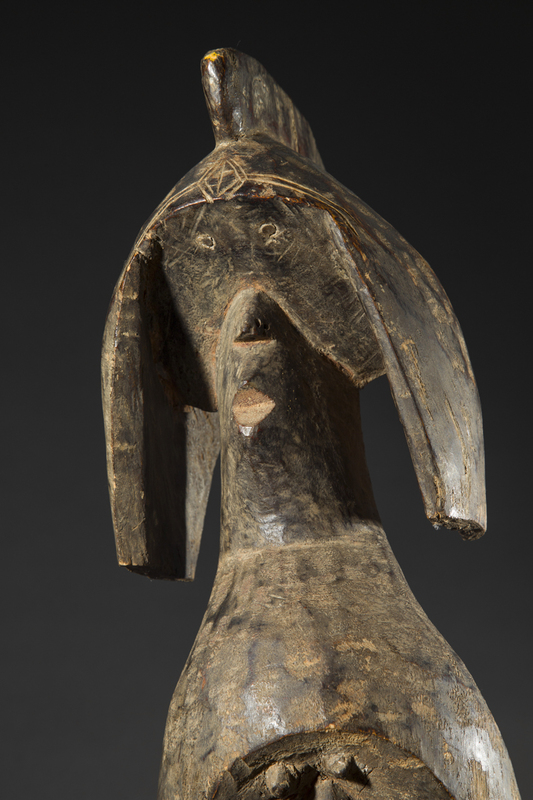 This large figure is characterized by its remarkable dynamism, reinforced by the angular breaks in the rhythm of the piece that are so characteristic of Mumuye art. 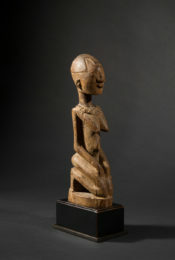 The arms echo the movement of the torso and the facial features are intensely expressive. 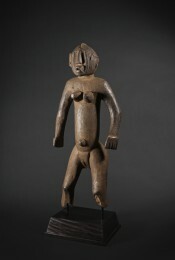 The composition of the figure illustrate how Mumuye statuary constantly reinvents its treatment of the human body. 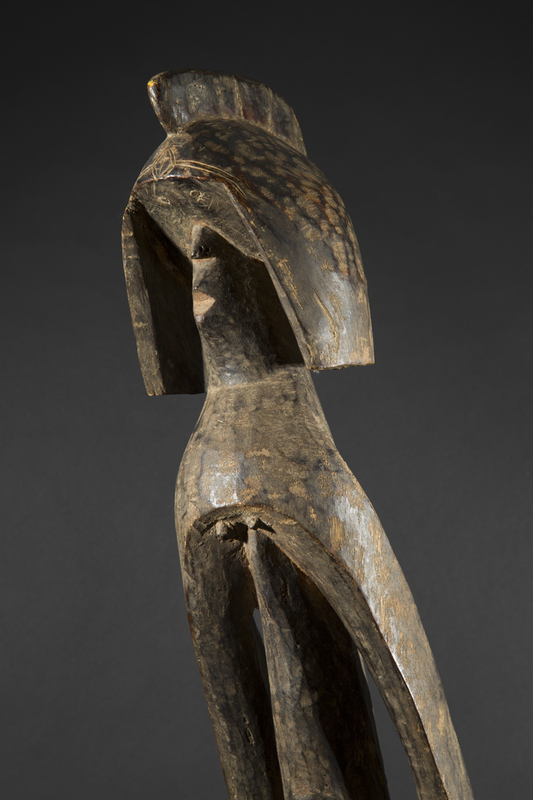 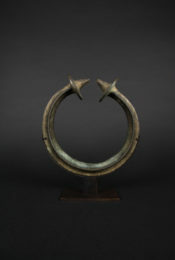 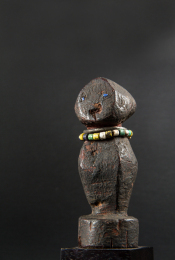 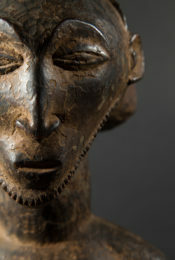 Great dynamism and fascinating juxtaposition of negative and positive space are evidenced in this museum-quality Mumuye sculpture.